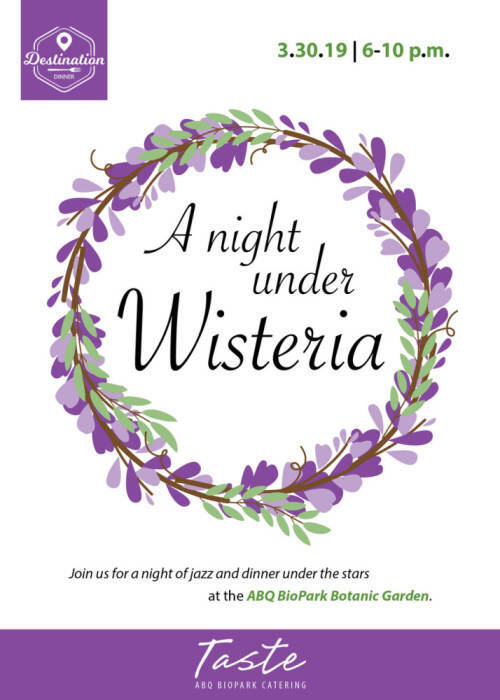 Taste ABQ BioPark Catering proudly presents the 2nd annual Destination Dinner: A Night Under Wisteria. Join us for a night of jazz and dinner under the stars. 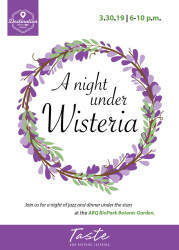 Enjoy hors d'oeuvres and a welcome Lavender Martini among the enchanting wisteria and lush greenery of the Ceremonial Garden, while being serenaded by Entourage Jazz. Cash bar available.